It has been over 15 years since the moratorium on fishing Atlantic cod in eastern Canada, but the fish stocks have not replenished. The disappearance of cod in the region is a wake up call on the effect that overfishing can have on a fish stock. WWF works with governments and the fishing industry to see that other cod stocks in the Atlantic and Pacific Oceans avoid a similar fate. Pacific cod (Gadus macrocephalus), Atlantic cod (Gadus morhua) and Greenland cod (Gadus ogac). The collapse of the Grand Banks fisheries in the 1990s finally proved that our oceans are not a bottomless pit to be exploited without care or concern for the consequences. In the UK, Atlantic cod is one of the most common kinds of fish to be found in fish and chips, It is also well known for being largely consumed in Portugal and Spain. 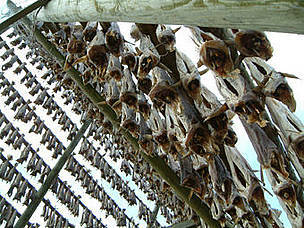 Western Europe accounts for 70–80% of the world cod market, with the UK being Europe’s largest importer and consumer. Cod, together with the similar whitefish pollock and hake, accounts for one-third of all seafood imports into the EU. * in order of landings in 2004, largest to smallest; countries in bold accounted for 77% of the total catch. What are the main threats to cod? Cod are currently at risk from overfishing in the UK, Canada and most other Atlantic countries. 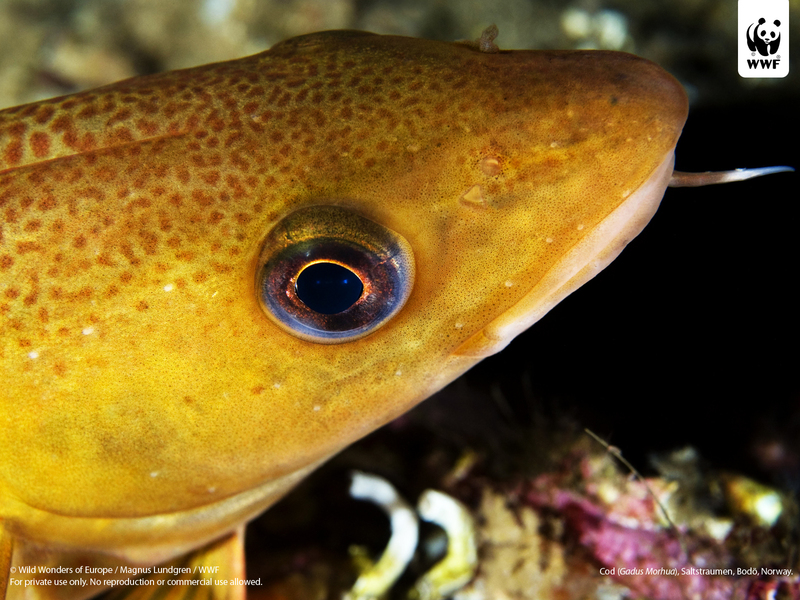 As fisheries have become more efficient at catching cod, populations have declined. Continued unregulated, unreported and illegal fishing, together with liberal quotas mean the stocks do not have a chance to recover. 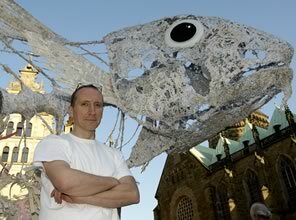 Use of indiscriminate fishing gear which leads to cod bycatch also contributes to the problem. Cod drying. Lofoten Islands, Norway. Cod are a WWF priority species. WWF treats priority species as one of the most ecologically, economically and/or culturally important species on our planet. And so we are working to ensure such species can live and thrive in their natural habitats. WWF works with fisheries around the world to reduce the impact of fishing that is making a considerable footprint on the world’s most ecologically important marine ecoregions and conserving the most commercially valuable species such as cod, an important commercial whitefish species. WWF also promotes smart fishing gear and advocates for its introduction on a compulsory basis. This includes eliminator trawls which allows cod to escape when the quota is almost reached, reducing unnecessary discard and bycatch. WWF protests against EU Maritime Policy with cod skeleton in Bremen, Germany. The sculpture was created by the British artist Richard Sharples. Look for the MSC logo when buying cod and other seafood. A large female cod can lay up to 5 million eggs in the middle of the ocean, but only a very small number will survive. If just 2 of the millions of eggs laid by a female during her lifetime survive to adulthood, the population can remain stable. 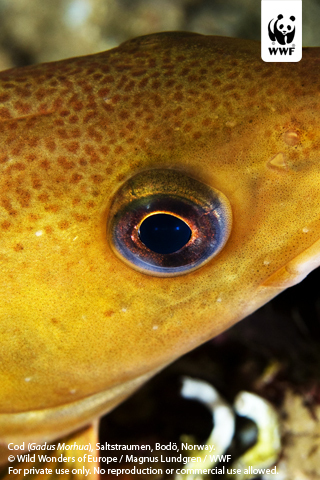 Atlantic cod can change colour at certain water depths, going from grey-green to reddish brown. Approximately 30,000 people lost their jobs in Newfoundland when the Grand Banks fishery collapsed. Collapse of Atlantic cod stocks off the East Coast of Newfoundland in 1992.